Every single day seems like a game of anti-President Trump roulette where you never know which celebrity will land the ball to spew some of the worst vitriol about him that you’ve ever heard in your life. Except imagine that the wheel is thousands – maybe even tens of thousands of well-known liberals who continue their self-righteous quest to become the most famous anti-Trump personality. One of them is pop star Cher who tries to top that list and this new conspiracy she’s peddling is so crazy it will make you question her sanity. 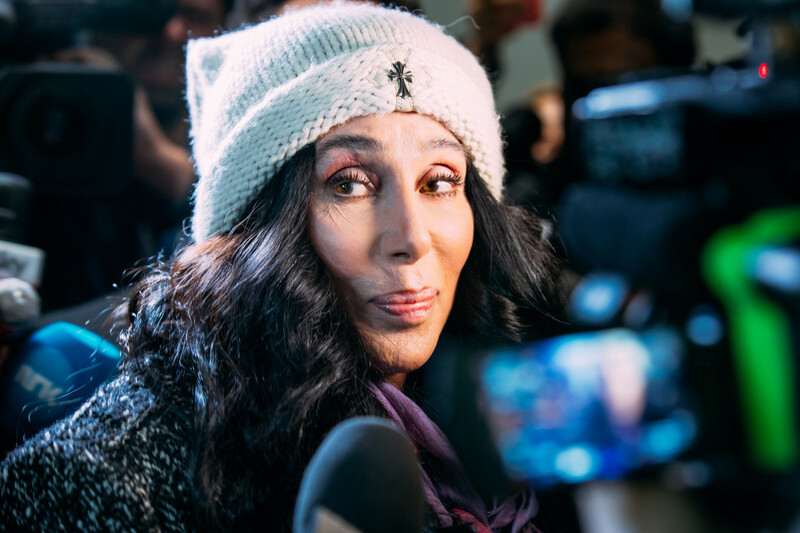 Cher loves to bloviate on social media about mostly her disdain for President Trump despite the great job he and his administration are doing. The former pop star seems like a middle school teenage girl with how she uses Twitter because the words are almost always cap locked and her tweets are littered with emojis. She flew off the handle. All of these claims are baseless and wrong but that wouldn’t stop somebody like Cher from posting this nonsensical garbage. In fact, one could argue that it’s the complete opposite. Google and Facebook are clearly biased against conservatives and right-leaning media institutions. Google’s CEO Sundar Pichai just appeared before the House Judiciary Committee to discuss the company’s practices and behavior when it comes to political biases and how they collect data from its users. During the hearing, Rep. Steve Chabot of Ohio lamented to Pichai that when searching for the Republican healthcare and tax bills, he couldn’t find a single positive take on them until he got several pages into the Google results. That’s far fetched to consider that it’s not possible for that to happen. There are hundreds, if not thousands, of conservative news entities that rave about Trump’s new tax plan. So these frenetic loudmouthed comments that Cher seems to scream at us are without merit and the truth even leans more towards the opposite of what she’s saying. If anything, Google and Facebook conspired to get Democratic nominee Hillary Clinton elected to president. Not the other way around. There is a literal video of Google’s executives watching Trump win on that fateful night in November of 2016 who were absolutely shell shocked and terrified by the results. That should give a strong clue as to whom they wanted to win. Some of those executives pushed hard on Google to get out the Latino vote in the week leading up to the election with a headline on the site that read, “Election results and the Latino vote,” with the presumption that a majority of them would vote for Hillary. Cher is wrong. If the executives lean left then Google does as well and you can bet they can manipulate search engine optimization anytime they want to. But this is routine for Cher; it’s business as usual for her to tweet this kind of rhetoric. Cher’s hyperbole is gross. Stay away from it as best you can.